Top 5 Acne Face Washes for Acne Prone Skin. Are you suffering from acne that makes you look ugly and ruined all the beauty of your face? Their existence on the face makes you feel unattractive and also less confident. Acne occurs due to the hormonal change, imbalanced diet, unhealthy life style and vitamin deficiencies can also be the cause of acne. You need not to worry about your acne and pimples now. Today here we will tell you about the top 5 acne face washes that are best for acne prone skin and show visible results within few days of use. 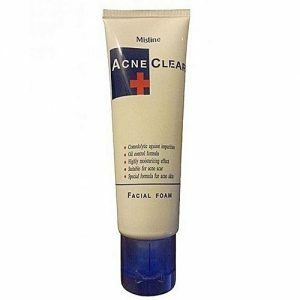 These acne face washes are easily available in Pakistan. Here are top 5 acne face washes for acne prone skin. It’s the best face washes I ever try in my life to get rid acne. I was suffering from severe type of acne since many years and thanks to Eveline products I got my lost confidence back and now enjoying the crystal clear skin with the eveline products. It’s a top quality and imported face wash that works dully. It not only removes the pimples but also eliminates their spots. 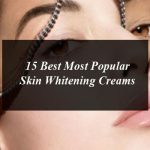 It’s the combination of salicylic acid and hamamelis virginiana extract overcomes spots and soothes inflamed blemishes. Eveline Pure Control SOS Facial Wash Gel also includes Zinc that regulates sebum secretion, which visibly reduces skin shine. It offers you soothing and fresh feel after washing the face. Eveline is basically a French skin care brand but its products are easily available in Pakistan at extremely affordable prices. 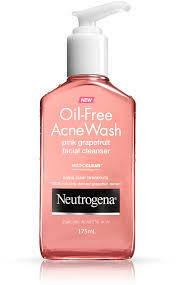 It is high effective acne face wash by the Neutrogena. It is a lightweight, oil-free moisturizer for daily use fights breakouts while hydrating, for clear, soft skin. It contains the highly powerful ingredients including the pink grapefruit and Salicylic Acid that help to remove acne fast. It controls the formation of excessive sebum on the skin by deeply cleansing the skin from deeper layers. It is very much effective in cleansing acne and sebum due to its Comedolytic properties. Saeed Ghani is the renowned name in the skin care product line. 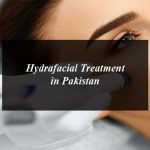 There are a number of Saeed Ghani skin care products available in the market in affordable prices. 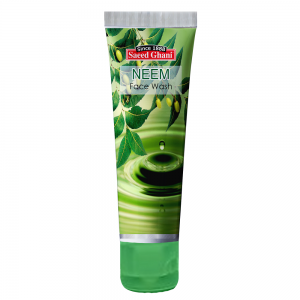 The Saeed Ghani Ace Face wash is herbal with Neem properties that helps to sooth acne and remove the formation of bacteria. 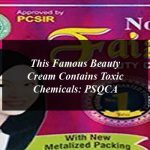 Saeed Ghani skin care products are purely herbal and suitable to all skin types. It is also the best acne clear face wash formulated with the world’s first Active Thymo-T Essence. 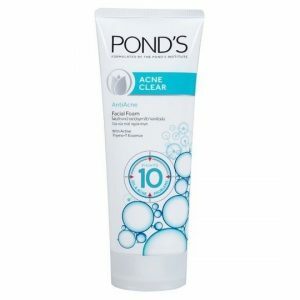 The Pond’s Acne Clear fights 99.9% of pimple-causing bacteria. It helps the acne to go away within 3 days and offers you to enjoy the crystal clear skin. It works by removing the excess oil and helps clear impurities from your skin. How to use Acne Face washes? Just squeeze the little amount of face washes on the palm of your hand rub the palms and apply on the face, massage for few seconds in circular motion gently and wash away with water. After washing the face you can apply any good quality moisturizer, cream, gel or acne clear gel. 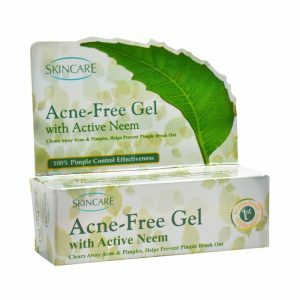 as its name suggest it’s a unique formula with Active Neem that helps to stop the formation of new breakouts and wipes away the existing acne by offering the clear smooth skin. Its antibacterial properties works strongly against bacteria on the skin that causes acne and pimples. After washing the face apply this gel as need on the affected areas. It’s a best face wash to remove acne and pimple. Its vitamins, minerals and amino lets the acne to settle within few days and bring back the lost beauty of face. 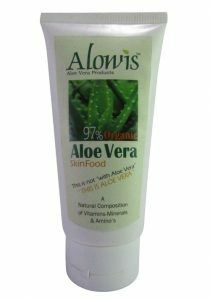 It stimulates the cell division and regenerate tissues and offer your skin natural glow with the organic aloe vera gel, which is main ingredient of this face wash. Alowis Organic Aloe Vera Skin Food Gel is available in Pakistan at extremely affordable price. Wash your skin and apply the gel on the face it will absorb within minutes.